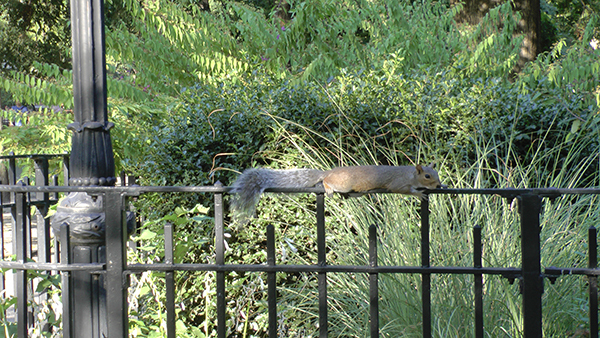 Squirrel lying on a fence. 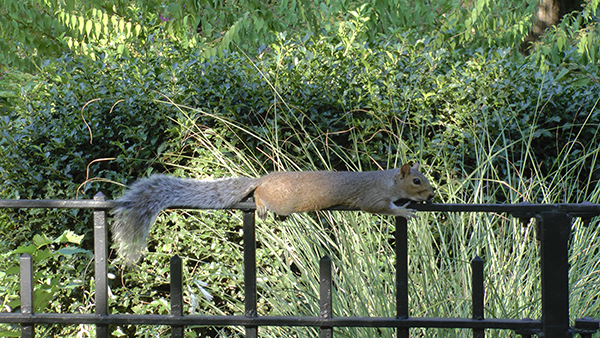 It's unusual to see a squirrel lying on a fence this way, especially with the park's reputation as a den of hawks! It made me wonder if something was wrong, like maybe it was dying? Another tale of the macabre from… the gritty East Village Today! it looks like he is rail surfing - that is the sport of skwrls!